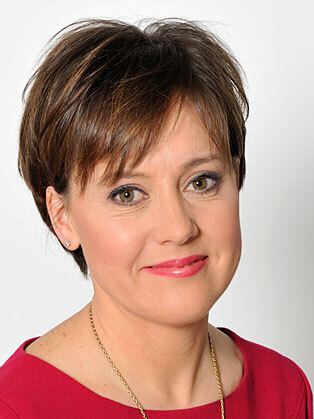 Sally Bundock joined the business team at the BBC in 2002 and has been presenting the early morning edition of World Business Report on BBC One, BBC News Channel and BBC World News for the past 10 years. Sally has also just launched the BBC’s flagship business programme, Business Live which airs every week day at 0830 on BBC News Channel and BBC World News. Sally co-presents Business Live with Ben Thompson and it’s a packed 30 minute programme that covers all the key business stories and gets the inside track from the world’s leading CEOs. It's been a busy time for Sally, especially since the financial crisis began in 2008. The Eurozone debt crisis has dominated the agenda and Sally's role has been to inform the European audience, as they wake-up, of the latest developments and how it impacts their lives. In 2014 Sally was named as one of the UK’s 50 most powerful part-timers on the third annual Power Part Time List compiled by both Timewise and the Financial Times. This year sees Sally join the judging panel to compile the 2015 list of the most powerful people in the UK who have adopted a flexible approach to working. Sally has also worked extensively in radio including presenting Wake Up To Money on BBC Radio 5 Live and presenting the business on Drive Time with Simon Mayo on BBC Radio 2. She has also covered the business news on BBC One's Breakfast. She previously worked for Bloomberg where she created and presented their award-winning evening programme, Bloomberg Money.